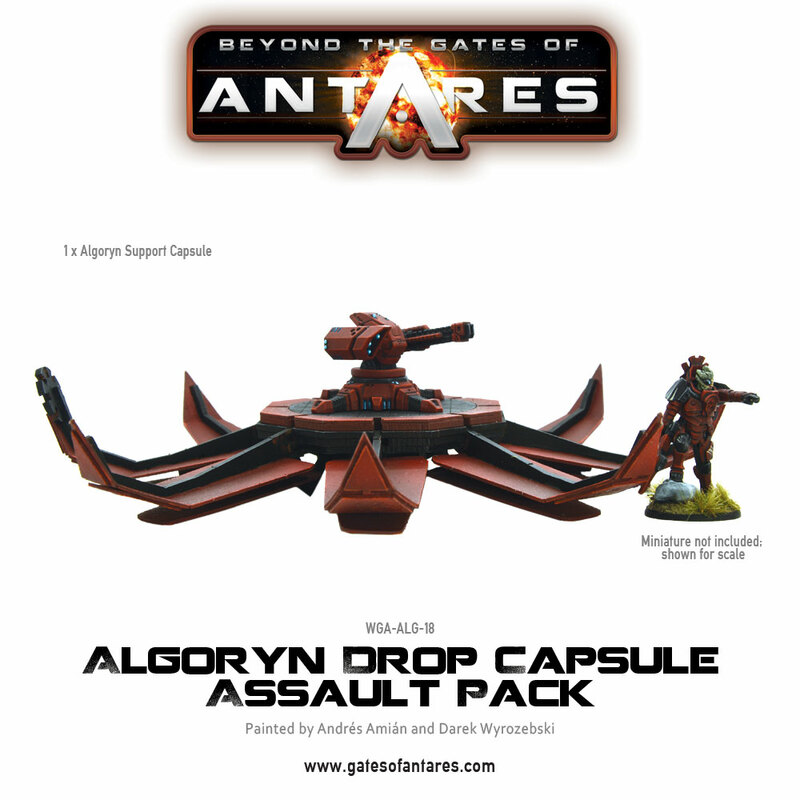 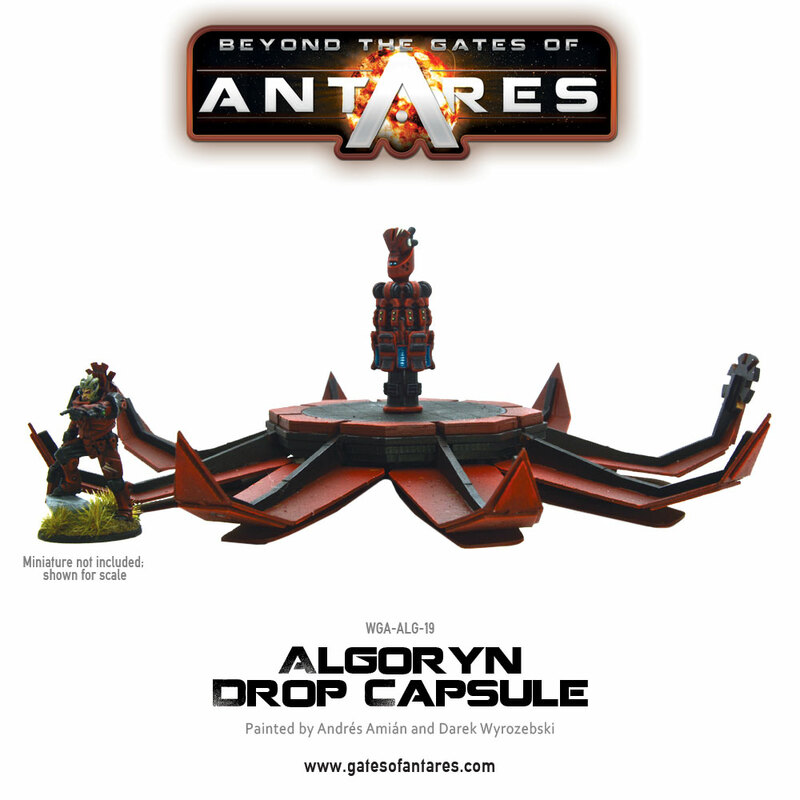 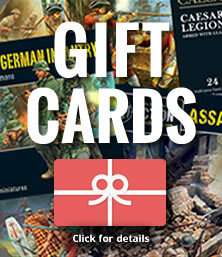 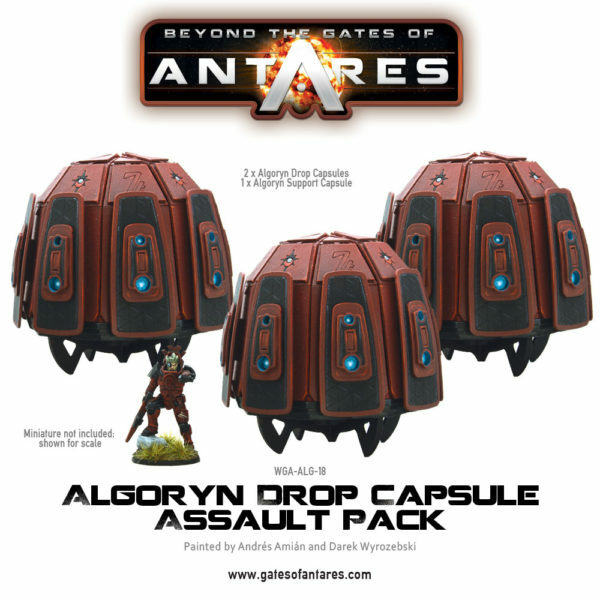 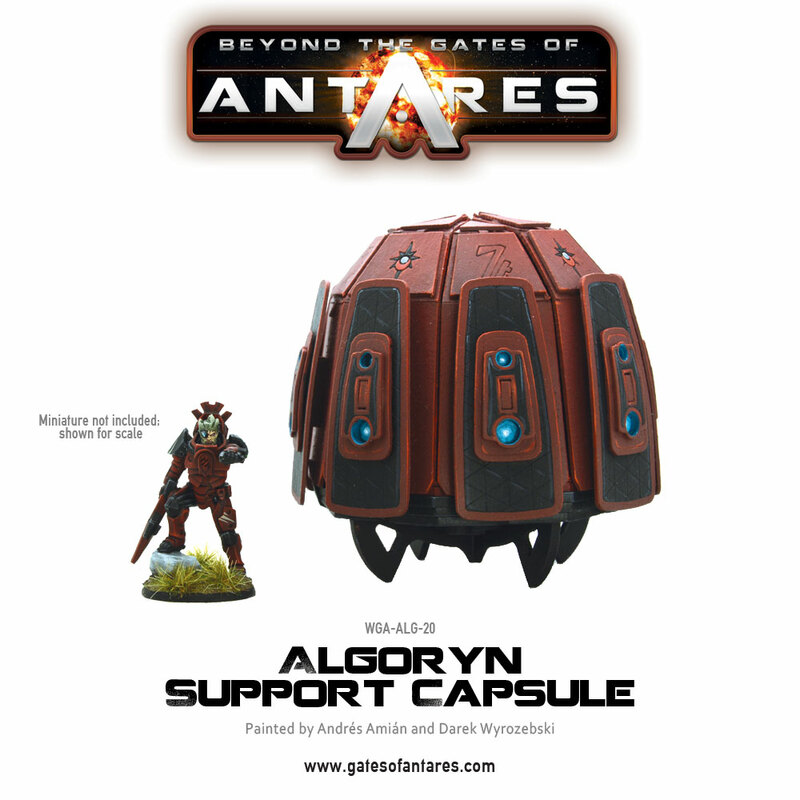 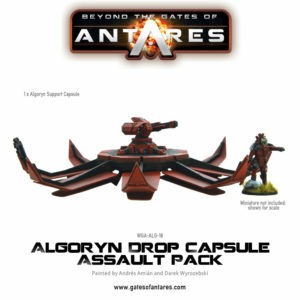 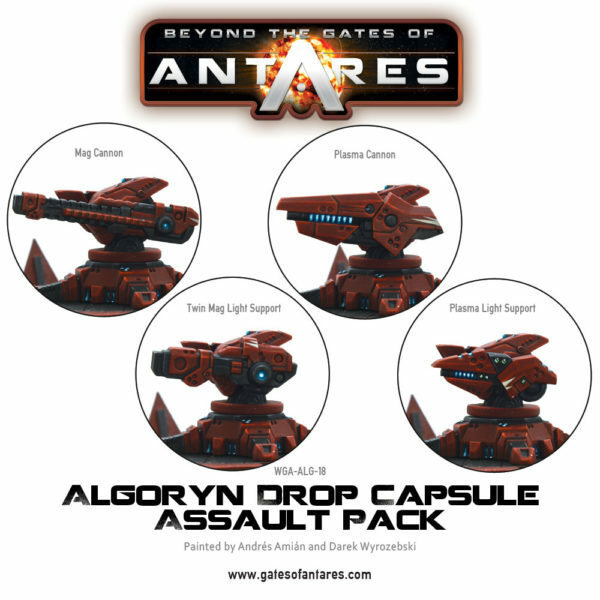 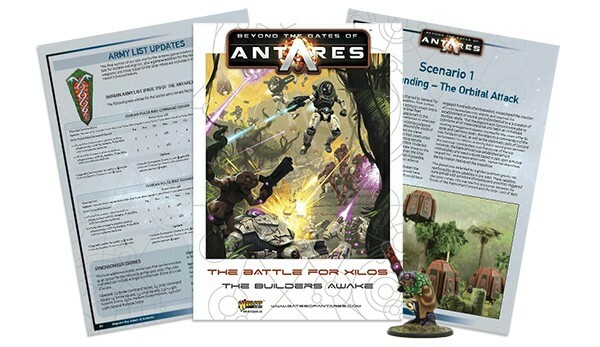 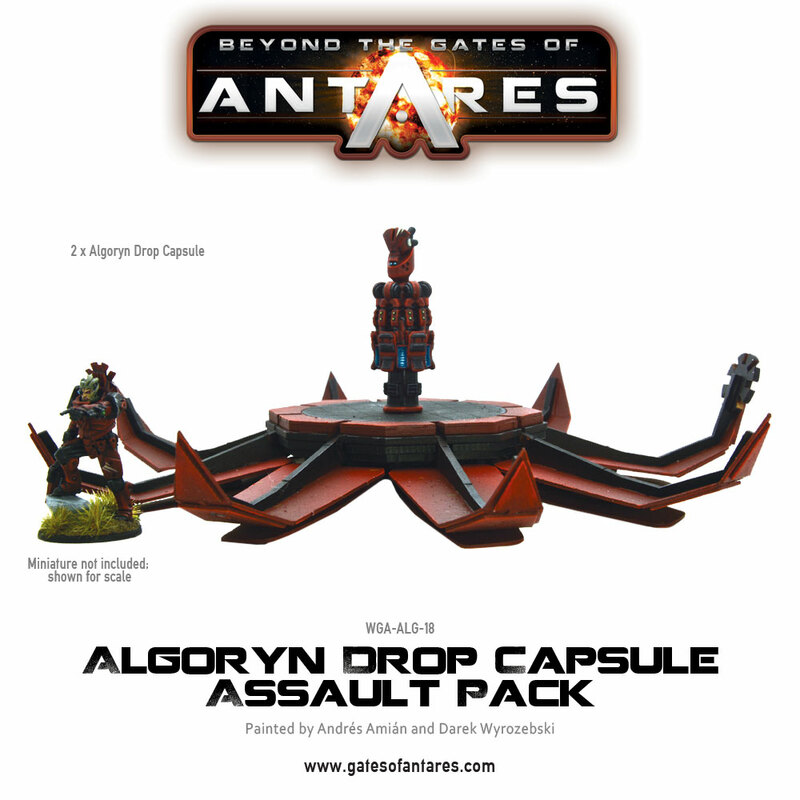 With a special scenario and rules from page 12 in the ‘Battle for Xilos’ campaign, and the first chapter in the forthcoming online campaign, these capsules will illuminate the skies giving you a tactical advantage unlike any Antares battlefield has yet seen! 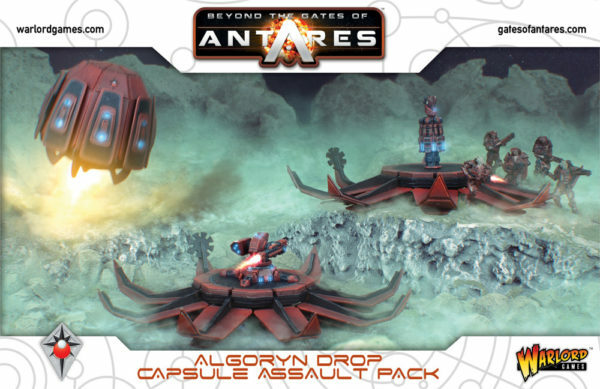 With 2 distinct variants you’ll have the ability in the 1st scenario to confuse your enemy as to what is about to land in front of them. 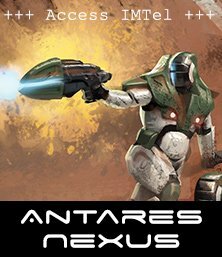 Will it be troops or a devastating fusillade of weapons fire?